W&R AND THE BY AND BY AND BOOK FEST EVENTS! I got my box of W&R hardbacks in the mail and they are SO BEAUTIFUL! !!! I am now contributing to Oxford American's The By and By series with a column called THE GLIMMERING HUSH in which I seek quiet in a loud world. I'll be reading & signing @ Carmichaels in Louisville on March 8! Tayari Jones and I will be in conversation with Katia Ulysse @ the Virginia Book Fest on a panel called THREE-HANDED HEARTS on March 24! I'll also be attending the Greensboro Bound Book Fest in May! I try my best to keep track of events here! W&R on some more lovely lists! WHISKEY & RIBBONS is listed on The Millions MOST ANTICIPATED: THE GREAT 2018 BOOK PREVIEW! Thank you so much to Nick Ripatrazone for including me! WHISKEY & RIBBONS is also listed over @ The Book Riot 10 MARCH NEW RELEASES TO PUT ON HOLD AT THE LIBRARY RIGHT NOW! Thank you to Liberty Hardy for including me! WHISKEY & RIBBONS is listed over @ Texas Book Festival 2018 Reads! Thank you Julie Wernersbach! And thank you to Steph Post for including WHISKEY & RIBBONS in her Great 2018 Spring Book Preview! WHISKEY & RIBBONS! LISTS! EXCITEMENT! EXCITEMENT! WHISKEY & RIBBONS on some amaze lists! 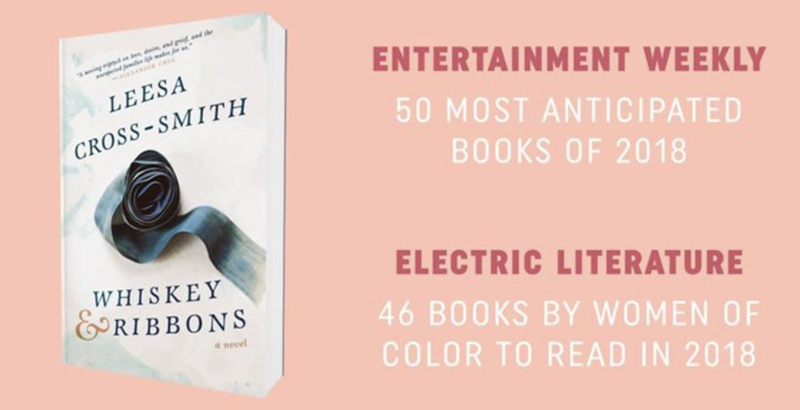 Entertainment Weekly and Electric Literature! SO STOKED to be working w/Kima Jones and her team @ JACK JONES LITERARY ARTS re: Whiskey & Ribbons. !! Read more abt the beautiful books in the current campaign and more abt Kima & Allison &&! WHISKEY & RIBBONS MOOD MUSIC & MY NEW FAVE TOTE BAG! ---> You can read abt/listen to some of the music I mention in WHISKEY & RIBBONS! AND! Pre-orders are open too! WHISKEY & RIBBONS GOODREADS/GOODIES GIVEAWAY & ! --> HI! You can enter to win an early copy of W&R that will come packaged in adorableness! ---> ALSO! I wrote abt how I wish I hadn't thrown out my teenage journals over @ Mutha! 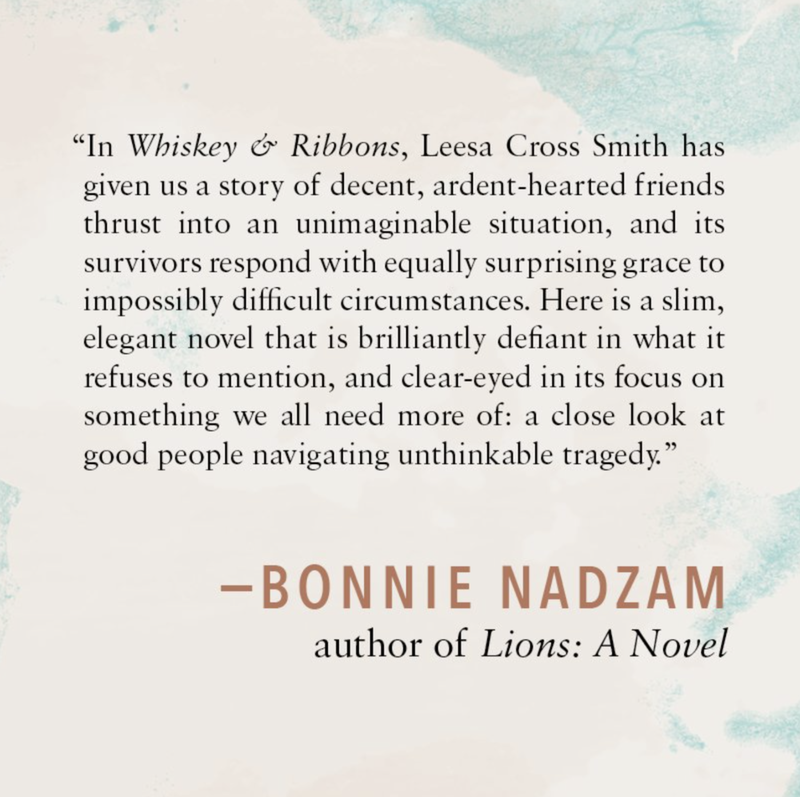 WHISKEY & RIBBONS ON GOODREADS! You can add it to yr WANT TO READ LIST! W&R ARCs & A CONVERSATION! WHISKEY & RIBBONS = AUDIBLE AUDIOBOOK!